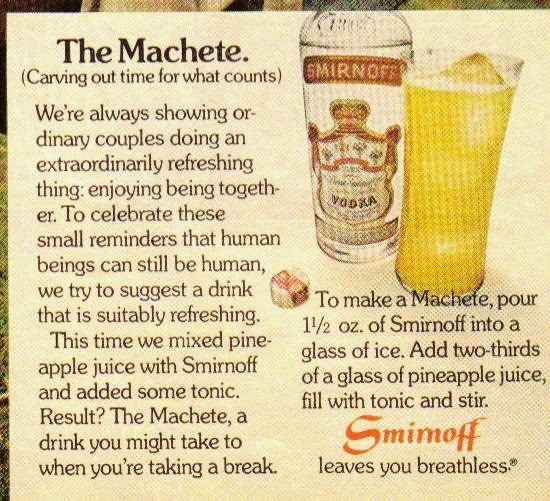 Now I do enjoy a Vodka Machete cocktail. 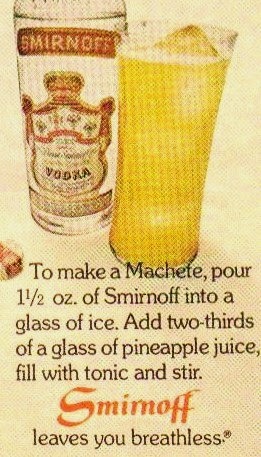 And I make mine with Pineapple Orange juice. Kroger's has a frozen Pineapple Orange juice blend. A standard item next to their normal frozen orange juice cans. The cans even look alike. So I have to really read the label to make sure I get the correct cans. But this pineapple orange juice, can be used for many drinks! It is a perfect blend of the two fruits. Labels: pineapple orange juice, Smirnoff Vodka, The lady needs a sweet cocktail with a little kick.